Life is all about relationships . You can’t force any relationship on anybody. If you are destined to stay in a relationship , you will stay committed. If anybody wants to leave , you can’t force him to stay. Any empty space made by somebody leaving you shall be filled up by somebody who may be more worthy and just waiting for the right moment to enter your life. If you aren’t serious about a relationship , you have no right to block somebody else who could be more committed and destined to replace you. 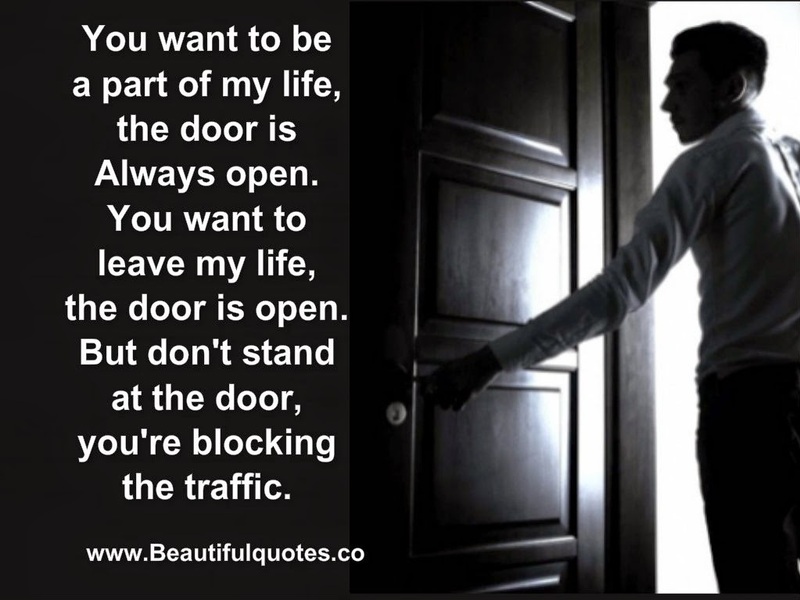 If you want to be a part of my life then the door will always be open. If you want to leave my life, again the door will always be open. But don't stand in the doorway because you're blocking the traffic.